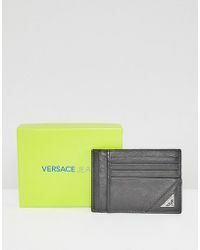 Versace is an iconic Italian fashion house founded by Gianni Versace in 1978. 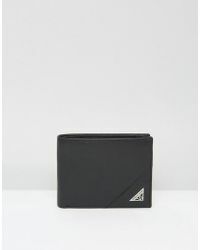 Originally famed for its signature use of vivacious prints and bold, clashing colours, the brand remains synonymous with edgy fashion. 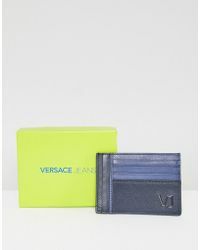 Casual diffusion line Versace Jeans focuses on laid-back and relaxed aesthetics while still reference the high-octane spirit of the main line. 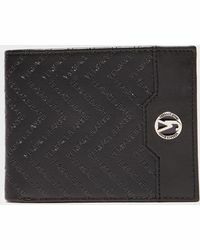 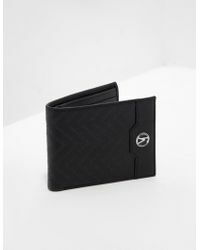 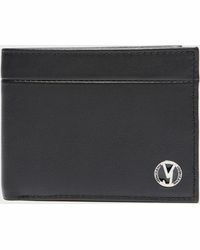 Featuring sumptuous leathers and clean lines, men's Versace Jeans wallets are perfect for keeping cards and coins safe. 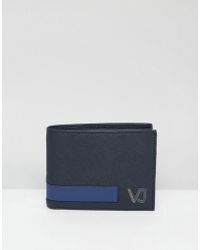 Adorned with the brand's signature logo, invest in a recognizable accessory with men's Versace Jeans wallets.